Every month, JCAHPO hosts live webinars on various topics in eye care. Presented by leading industry professionals, the JCAHPO webinar series are an innovative and timely way to gain valuable knowledge and skills while earning CE credits online. Read our FAQ for more information. EyeCareCE is the most comprehensive online continuing education website available. With hundreds of courses and new content added regularly, EyeCareCE is the source for allied ophthalmic personnel continuing education. Content is accessible anytime, anywhere via PC or laptop. 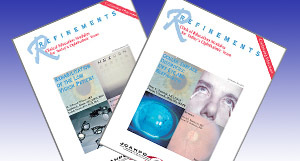 Authored and peer-reviewed by leading ophthalmologists and technicians, the JCAHPO Refinements Modules can be ordered through EyeCareMarketplace™ and delivered to your home. You can read the article and complete a paper quiz at your own pace. JCAHPO offers certified personnel ways to earn CE Credits offline. 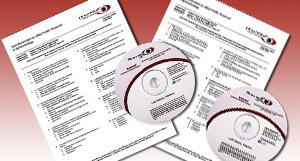 CD-ROMs with recorded audio or video lectures from the JCAHPO Annual Continuing Education Programs, and the JCAHPO and CLAO Learning Systems are available for purchase at the EyeCareMarketplace.